I began my love of animals at a very early age. Many said I had a gift to transform wild horses into manageable companions. It was my involvement with one particular quarter horse, which was exceptionally wild, that I learnt respect for animals. 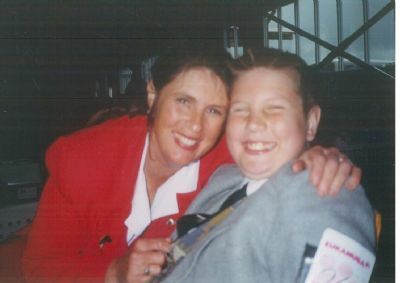 He taught me that when there is trust anything is possible. This concept is something that I strongly hold when handling my beloved fox terriers. 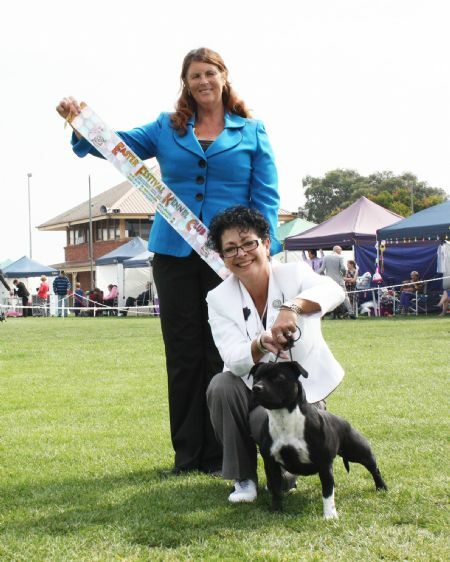 I have been actively involved in breeding, showing and promoting my breed for over thirty years. 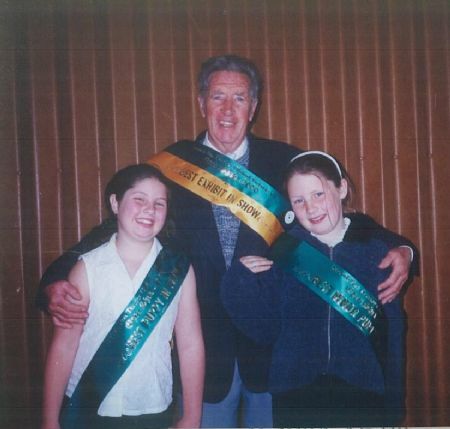 I was fortunate enough to have the late Mr. Cam Milward from Grenpark Smooth Fox terriers as a mentor for ten years. 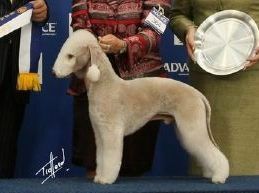 He taught me the essence of identifying and breeding correct type. He also instilled in me the importance of harnessing the spirit of the terrier rather than breaking it, in much the same way my horse had taught me. Cam taught me to see the beauty in nature. He would ask me to select the most pleasing cattle, chickens, flowers, canaries and rabbits. The lesson here was to look for balance, symmetry and quality. He said this view must also be utilised when viewing dogs as a breeder and a judge. My love of terriers is therefore clear when realising my history. The connection between the spirit of the horse and terrier are close and it is this spirit that has become my passion. 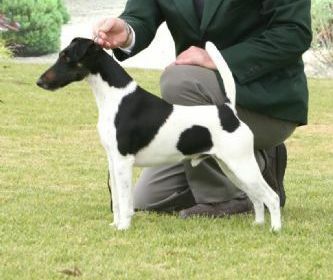 The terrier has the unique blend of courage, a love of independent adventure and true loyalty to his master as a companion. 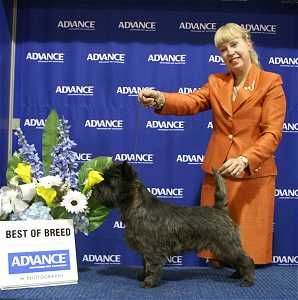 Breeds I have had the pleasure of handling include the Airedale, smooth and wire Fox terriers when on the tip-toe of expectation are delightful to display and the tough and tenacious Scottish terrier, who is one of my favourites. 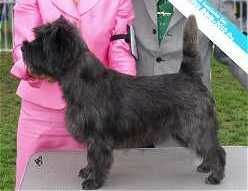 The Scotty is inspirational when he displays his head-up tail-up terrier attitude. Others I have shown are the workman-like Cairn with his fearless and gay disposition; the graceful yet powerful Kerry blue; the Bull terrier who is awesome when he displays his true gladiator character; the smart Jack Russell of keen expression; the bold, fearless and totally reliable Staffordshire Bull terrier; the stocky yet graceful American Staffordshire terrier and the lovable little “demon’ Norfolk terrier. 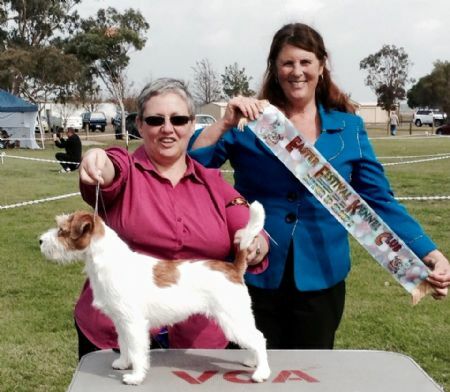 I believe that through handling so many different breeds I have come to understand the similar yet individual qualities of the terrier breeds. 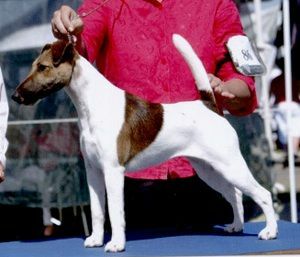 I have judged many terriers at the Open show and member’s competition level. 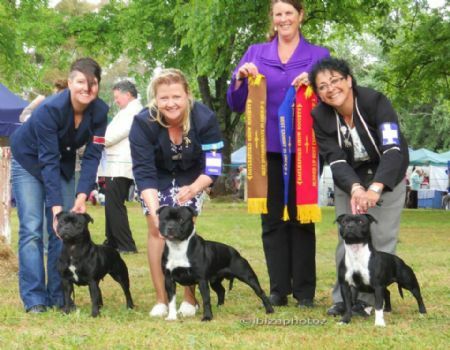 The terriers I have judged include the Sporting Terrier Open show, the Black and White terrier show (Scottish and West Highland white), the Airedale, Jack Russell, Bull terrier and Staffordshire Bull terrier Open shows. 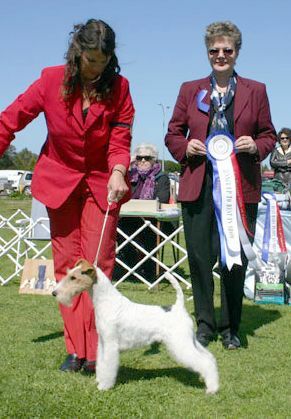 In August 2008 I judged the KCC Park Show, which was my first terrier group at Championship level . I had an entry of 140 exhibits. The greatest joys that I have had in my involvement in terriers include the time I have spent with my family whilst adventuring to country shows, the wonderful people I have met in the global show community that the dog world offers and the companionship of my beloved canines. 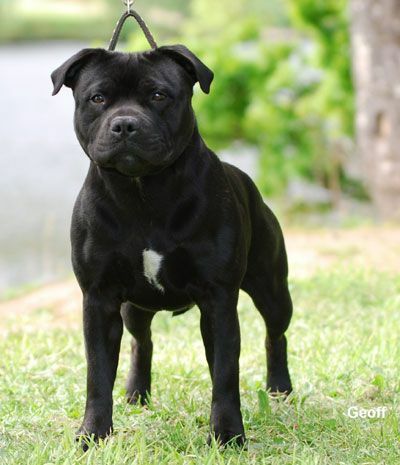 The genetics of dog breeding, the understanding of form and function, the intricacies of dog grooming, conditioning and handling are all delightful extensions of my interest. Terriers are no longer just a fanciful past time, for me they have become part of who I am. I am fortunate to have shared my love with my children and parents. We would all travel together to the shows and the wonderful memories are what life is all about. The time I have spent with Keven, my dear father and kennel partner has been priceless. His background in pigeon racing and breeding has furthered my knowledge in the importance of the female tail line. He also taught me not to be afraid and to breed close when the specimens are of top quality. It is not just what looks good on paper, but also what looks good in the flesh. 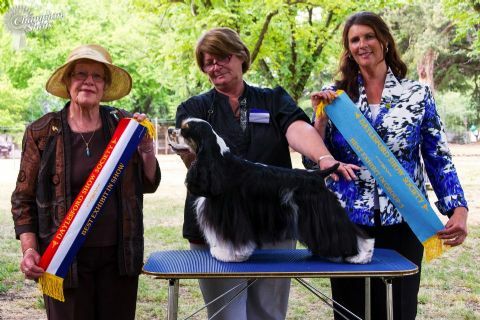 After thirty years Ecirp kennels have produced over 60 champions/Grand champions/Supreme Champions and are still producing Best In Group/Best In Show and Specialty winning exhibits. 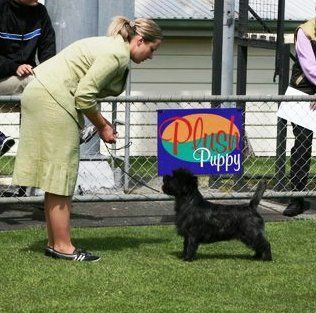 I am overjoyed that my son Anthony, who is also a terrier judge shares my passion for smooths, thus creating three generations at Ecirp kennels. 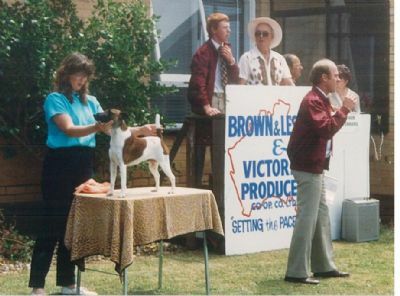 I have held the positions of President of the Smooth Fox Terrier club of Victoria and Vice President of the Sporting Terrier Club of Victoria. In 2010 I passed my gundog test and now have a judging licence for group 3.